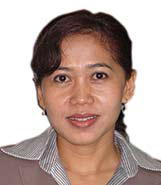 Rita is responsible for setting up and establishing hospitality Rooms Division Operations both for Front Office and Housekeeping services in the Asia Pacific region. With over a 16 years of experience including tenors with leading hospitality brands such as Shangri-La, Westin and JW Marriott, Rita also possesses extensive experience in Operations and General Management. With a panache for training and development and a strong eye for detail, her experience has included successfully setting up Room Division organizations and processes in difficult and challenging environments.